Italians rally around San Giuseppe every year to celebrate long held faith driven by millennia-old scripture. An onomastico is the celebration of your “name” day. St. Joseph, St. Francis, St. Anthony, St. Anne, St. Catherine and so forth, are all celebrated name days in Italy. And while not celebrated with the same grandiose celebration of a birthday, an onomastico is an occasion for Italians to celebrate with family, friends and of course, a cake or pastries. While St. Joseph and Father’s Day are celebrated all over Italy, the celebration of St. Joseph is more prominent in Southern Italy, particularly Sicily. Considered by Sicilians as the Patron Saint of their region, St. Joseph is credited to have saved Sicily’s residents during one of their many devastating droughts. Tradition has it that residents prayed to St. Joseph for rain. The rain came, and as such, their spring crops were spared from being destroyed, preventing a widespread famine for Sicily. It is believed that this is the reason the celebration is held in March. A traditional “alter” or “St. Joseph’s Table” is also popular in Italy. Placed in private homes, churches, social clubs and even cafes, creating a table for St. Joseph is commonplace. Many Italians brought that tradition with them to the States and while it is less common these days, it is something older Sicilians still take great pride in. The table is filled with gifts, both of food and sentimental ones, offered to the saint in thanksgiving for prayers answered. Generally, a statue of St. Joseph is placed at the head of the table and is surrounded by gifts of various foods, citrus fruits and of course, breads. On the feast day, an open house is held, inviting friends and family to join in the celebration of eating the gifts left on the table. Fava beans, one of the spared crops, represent good luck and abundance, so be sure to add them to your table for March 19th. As with anything in Italy, the menu for a St. Joseph celebration is rooted in tradition. Because the holiday falls during lent, meat is generally not eaten on the holiday of St. Joseph. Foods containing breadcrumbs, or the “poor man’s parmigiano” are enjoyed. Joseph, as you might know, was a carpenter, so breadcrumbs are supposedly eaten to resemble the sawdust left behind after a day’s work in the carpenter’s shop. 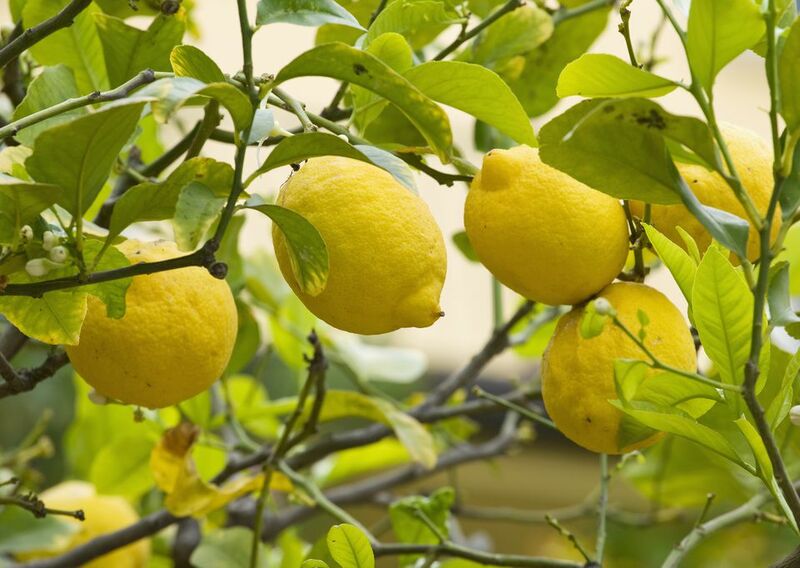 Lemons, like fava beans, are said to bring good luck, particularly to the single ladies looking for a husband. While relatively unknown to the non-Italian U.S. population, one city that widely celebrates this feast day is New Orleans. Louisiana used to be a popular arrival port for Sicilians and at one point, the now French Quarters were known as “Little Palermo.” Celebrations occur, even to this day, with traditional foods and festivities. 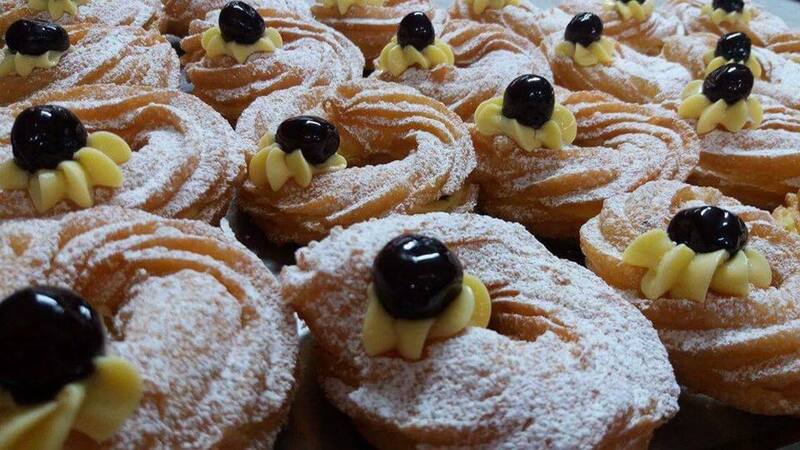 While fava beans, lemons, breads and seafood are frequently eaten on the feast day of San Giuseppe, and are certainly delicious; my all time favorite food to enjoy is the Zeppole di San Giuseppe. Found in any respectable Italian bakery, both in the States and in Italy, a zeppola is a pastry, almost resembling a cream puff, but fried, and tastier, if you ask me. After fried, the zeppola is cut in the middle and filled with various flavored creams or sweetened ricotta. It’s frequently topped with amarena, a sour cherry preserve, and dusted with confectionary sugar. Delicious by itself or enjoyed with a cup of espresso, if you do nothing else this upcoming holiday, be sure to enjoy a zeppola in honor of San Giuseppe and say a little prayer of thanksgiving for the gifts you have been granted. San Giuseppe: Did you know that he’s the patron saint of realtors or anyone trying to sell a home? As with any tradition, its origin is very unclear. But if you’re trying to sell a home, be sure to buy a small statue of St. Joseph, and bury it upside down in your yard, preferably near flowers. As you can see, there are a lot of traditions, superstitions and customs to Italian religious holidays. If nothing else, be sure to pick up a zeppola and celebrate the day in a very sweet way.